There are many technological challenges in building the connected classroom. Things like bandwidth, internet connection, and hardware will offer integrators and manufacturers challenges never before faced. In my mind, the biggest challenge will be audio. We all know a videoconference is only as good as the ability to hear the people speaking. There is no perfect solution, or one-size-fits-all. With every audio solution, there is an advantage and a drawback. Below are a few ideas I have for setting up microphones in the classroom. This is based on an interactive, two-way conversation, not a “sage-on-the-stage” lecture. I believe that a webcam with a pinhole mic on the top of a TV is not a good solution. It is good for the consumer setup. Remember that the goal of setting up a mic is to get it as close to the subject speaking as possible. 1. A single mic on a stand—In this set up, the person asking a question steps up to the mic. The advantage, only the person speaking will be heard. The mic can be turned on and off when needed. Disadvantage, there is a lot of getting up and down during the meeting. In some cases this disruption is manageable, but not likely with a classroom of fifth graders. 2. Ceiling mics—Mounting mics on the ceiling, in a permanent installation. The advantage, audio is unobtrusive and there is no need to set up and take down. You can pick up anybody in the room, and the wires are hidden. The disadvantage is that ceiling mics tend to be difficult to work with due to room acoustics. An expensive DSP is required to tune the sound properly, but it is probably too expensive for a school district on a budget when outfitting a large number of rooms. If it’s always on, it will pick up every sound in the room, which is distracting. 3. Stick mics for each desk—There are systems mics that daisy chain to a master system. Each mic has a mute switch, so it can be turned on only when needed. The install is most likely temporary. The advantage is that everyone can be close to the mic when they speak, without getting up from their seat. No extraneous noise, since the mic is off except when needed. The disadvantage is that temporary setup means wires all over. There is also time needed before and after the conference to setup and break down. These systems tend to be expensive, and difficult for the novice to set up and work. 4. Multiple boundary mics—Boundary mics can be set up in front of the class, with a master mute switch for the teacher to turn on and off as needed. The advantage includes very few wires, and all of them are in the front. The disadvantage, set up and breakdown take time, since it’s a bit difficult to set up, but not as difficult as the stick mic solution. Also, the people in the back of the room may not be heard well, depending on the size of the room. The most important thing to consider here is that the schools have limited personnel resources. Most likely, there will not be technical support to set up these systems, which will leave it up to the already overtasked teacher. The solution must be easy to set up and use, offer quality sound and inexpensive. 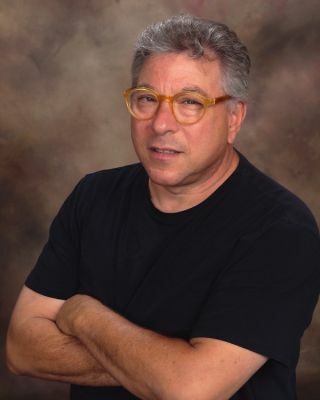 Perry Goldstein is director of sales and marketing at MXL. He is a professional speaker, writer and industry analyst.